Stock Number: WWMQ018 - Ladies Rotary Silver Cased Quartz Dress Watch - £125. 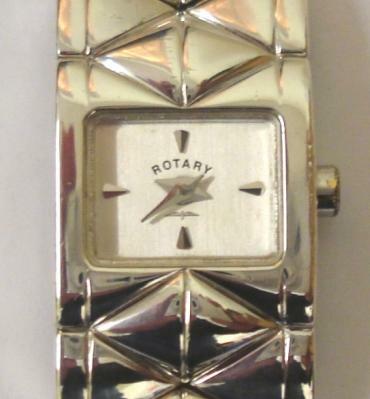 Ladies modern Rotary quartz dress watch in a silver case with integral Birmingham import hallmarked bracelet circa 1998. Signed white dial with polished quartered hour markers and polished silver hands. 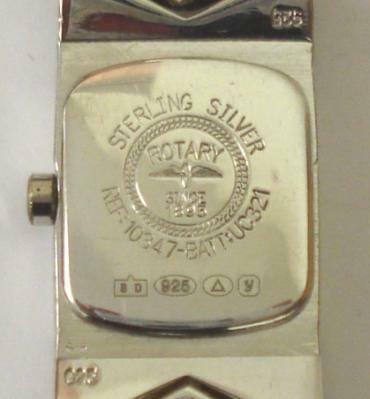 Signed case back carrying the Birmingham hallmarks and stamped Sterling Silver.